“Why Am I Still Single? 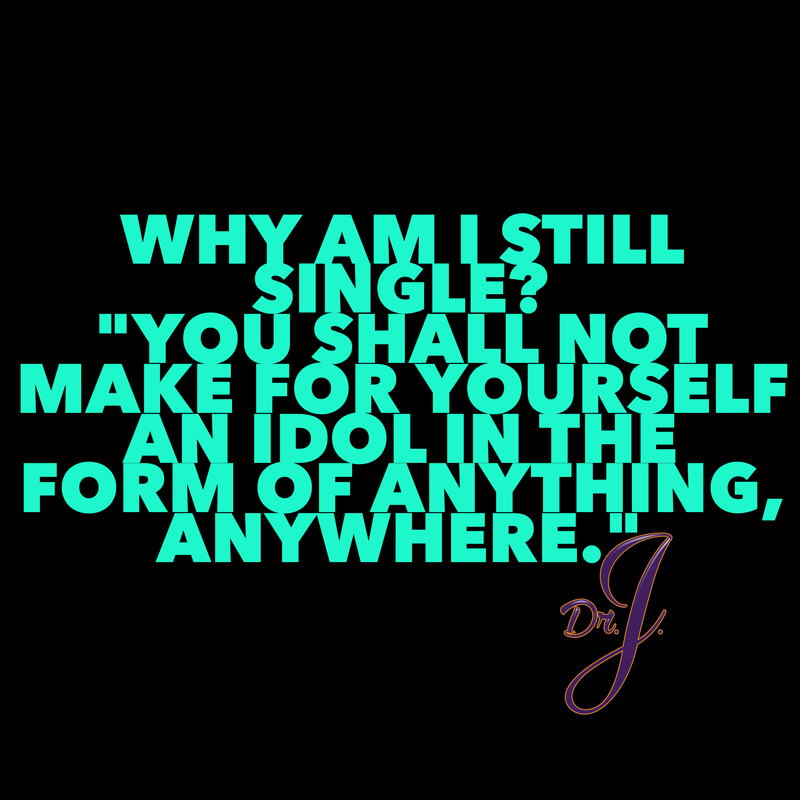 Idolatry!” by Dr.J. Holy Spirit put singles’ ministry on my heart for the past couple of weeks. I have been interceding for and crying out for singles all over the world. Holy Spirit has given me a few scriptures and topics to explore with singles that I pray will bless you and help you in your single state. Do not despair. God loves us so much and He sees us. He knows the desires of our hearts. He knows what’s best for us. He created time. If we would put our hope and trust in Him and set our minds on heavenly things, we will have perfect peace. God bless singles all over the world and heal their broken hearts. We have become so caught up with the idea of a mate or marriage that we’ve lost focus of why we’re really here. We’ve lost focus of the world being a temporary holding place until Jesus returns. Yes. God created us with the desire to have a mate and He even said it is good for us. But we absolutely cannot make anyone, anything, or the idea of anyone or anything into an idol. God knows our hearts. He knows if we’re just going through the motions with Him so that He will give us a mate. Pray and ask Holy Spirit to really and truly transform your heart so that you want God more than anything. We wake up, live, and go to sleep longing for what we don’t have. All our actions and activities are aligned with our desire to have someone. God says no. We must wake up, live, and go to sleep longing for a relationship with Him. One delay in having a mate may be because of idolatry in our hearts. God fix our hearts then give us the desires of our hearts when they are aligned with Your desires. Dr.J. Previous Post“The Kingdom of Heaven is at Hand” by Dr.J. ﻿Next Post“Why Am I Still Single? Wrong Motives” by Dr.J.